You are aware that the Indian Navy has successfully completed the first deterrence patrol of INS Arihant this year. With this, we have operationalised the third and the most survivable segment of the country’s nuclear triad. Last year we had undertaken a major review of our operational deployment philosophy and based on the prevalent security threats and challenges, we had recalibrated towards ‘Mission Based Deployments’ in our areas of maritime interests. Since 2008, a total of 70 Indian Naval warships have been deployed, which have safely escorted more than 3440 (including 413 Indian flagged) ships with over 25,062 mariners embarked. I must also share with you that, so far, the Indian Navy has thwarted 44 piracy attempts and apprehended 120 pirates. I am glad to inform you that the Navy would be conducting its flagship Theatre Level Operational Readiness Exercise, TROPEX, from end January till early March next year. As part of TROPEX, we would also be conducting a large-scale coastal defence exercise ‘Exercise Sea Vigil’ which will involve all stakeholders across mainland and island territories. We aim to test the robustness of our entire coastal security apparatus through his massive exercise. 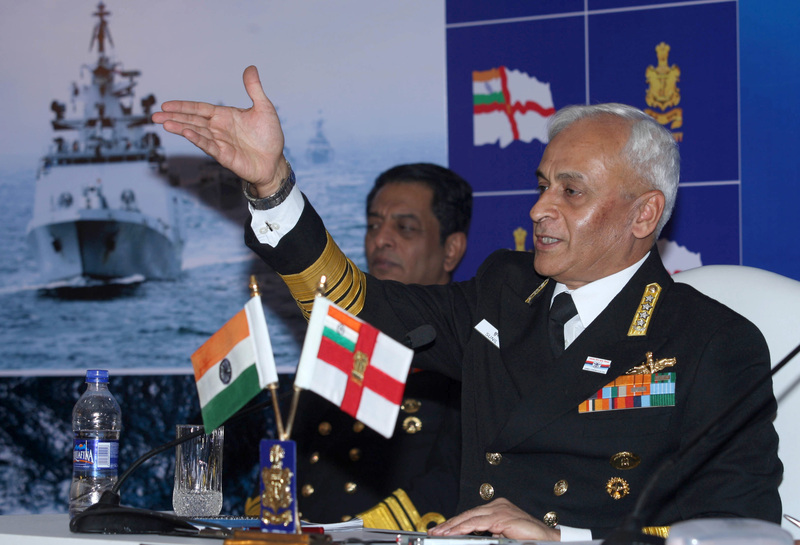 The Indian Navy has participated in close to 20 exercises with friendly foreign countries this year. 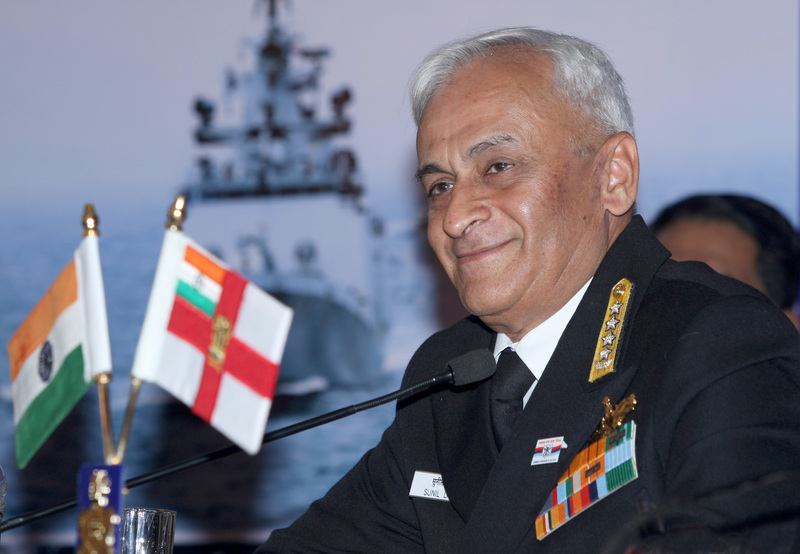 Under the Government of India’s overall rubric of ‘Neighbourhood First’ policy, the Indian Navy also undertook Joint EEZ patrols of Maldives, Seychelles and Mauritius, as well as Coordinated Patrols (CORPATs) with Myanmar, Thailand and Indonesia. ​​​​​​​We are also on the cusp of commencing bilateral exercises with Bangladesh and Malaysia, next year. ​​​​​​​The floods in Kerala was an unprecedented occurrence of its kind and the Navy conducted Operation Madad for over two weeks, rescuing over 16,843 people and followed-it up with elaborate relief and rehabilitation efforts. ​​​​​​​This year, IONS achieved a major milestone through formulation of guidelines for HADR in IOR and conduct of a maiden table-top exercise at Visakhapatnam. This year also marks 10 years of IONS and to mark this event, the Indian Navy recently hosted commemorative events in last month at Kochi, that included a seminar with the theme ‘IONS as a catalyst for Security and Growth for all in the Region (SAGAR)’ and a Tall Ship Sail Together from Kochi to Muscat, alongwith Sea Riders from several IONS member states. We have signed White Shipping Information Exchange agreements with nineteen countries and operationalised them with twelve countries. We are also in the process of setting-up an Information Fusion Centre (IFC- IOR) to further our commitment towards achieving collective maritime security in the IOR. ​​​​​​​Since 2014, 82 % of AoNs on cost basis have been accorded to Indian Vendors. During the same period, 72% of the cost of contracts concluded are with Indian Vendors. ​​​​​​​Further, more than two-third of the Navy’s modernisation budget has been spent on indigenous procurement in the last four financial years. ​​​​​​​Nearly 60% of the naval budget is earmarked for modernisation and capital expenditure. This healthy ratio is achieved through careful control of revenue expenditure and stretching every rupee to the maximum. As I speak today, 32 ships and submarines are presently under construction in Indian shipyards. These include the Aircraft Carrier, Vikrant, P-15B Class Destroyers, P17A class stealth Frigates, P28 ASW Corvettes, Offshore Patrol Vessels and Scorpene class submarines. In addition, Govt approval has also been accorded for 56 Ships and six submarines. The Indigenous Aircraft Carrier is presently in its third and final Phase of construction at Kochi. The Sea trials for the ship are expected to commence mid 2020 and we are closely working with all stakeholders to achieve the delivery timelines. The case for the second Indigenous Aircraft Carrier has received the necessary impetus. Though it is at least a decade away, the Aircraft Carrier project would accrue significant national gains in terms of boosting indigenisation and the country’s economy, through its life cycle of construction, maintenance and upgradation. ​​​​​​​Spread over period of ten years, the expenditure would not only be feasible, but would also be ploughed back into our own economy. ​​​​​​​We are also hopeful that naval version of LCA produced by HAL would fly from its deck. The second Scropene Class submarine Khanderi has completed her major trials and is expected to be ready for commissioning shortly. The third and fourth submarines of this project namely Karanj and Vela are also undergoing various stages of pre-induction trials. On the aviation front, a long standing critical shortfall in the naval helicopter fleet has been finally addressed with the accord of AoN for 111 Utility Helicopters in August this year And issue of LOR (Letter of Request) for 24 Multi Role Helicopters last month . We are working at timely realisation of these projects. Induction of the 1st Deep Submergence Rescue Vehicle (DSRV) system is scheduled at Mumbai this month followed by operationalisation of the 2nd DSRV system at Visakhapatnam by Mar next year. We are also targeting contract conclusion of 1135.6 (ex- GSL) and ASW-Shallow Water Craft in this financial year. We hope that in the coming months, our projects related to LPDs, Fleet Support Ships and Mine Counter Measure Vessels will also move forward. The operationalisation of Strategic Partnership Model, has happened with the accord of AoN for building 111 Utility Helicopters in India, which I mentioned a while earlier. This will be further consolidated with the release of Submarine specific guidelines for building P 75 (I) submarine indigenously, shortly. As regards infrastructure growth, Phase IIA of Project Seabird at Karwar is progressing well.Creation of a full-fledged Naval Dockyard and associated infrastructure to accommodate more number of ships, submarines and yard-craft is being undertaken during this phase. ​​​​​​​We are also focused on developing island infrastructure. NAS Shibpur at A&N is scheduled to be formally commissioned as INS Kohassa in January 2019. This would provide enhanced connectivity to Northern Andaman Group of Islands as also increase surveillance capability in the region.